The South Wharf suburb is very close to the CBD at only two kilometers away. Belonging to the local government areas of the Cities of Melbourne and Port Philip, this Melbourne suburb is a very small community with a population of only 66 as of 2011. The suburb used to be part of Southbank, a well known industrial and shipping area. It was then renamed to South Wharf as part of an urban renewal strategy to link Southbank with the Melbourne Docklands. South Wharf boasts of several famous landmarks in Melbourne. Among them are the Melbourne Exhibition and Convention Centre and the Melbourne Maritime Museum. The Polly Woodside historic museum ship launched in 1885 in Belfast is also in the area. It is a tall ship that operated between Australia and New Zealand before it was transformed into a museum. In terms of housing, the area has many apartments. 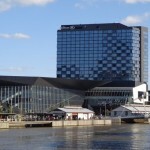 It also has a shopping outlet called Direct Factory Outlets (DFO) and a five-star luxury hotel Hilton Melbourne. The DFO features more than 100 leading Australian and international stores that offer discounts to their retail prices. 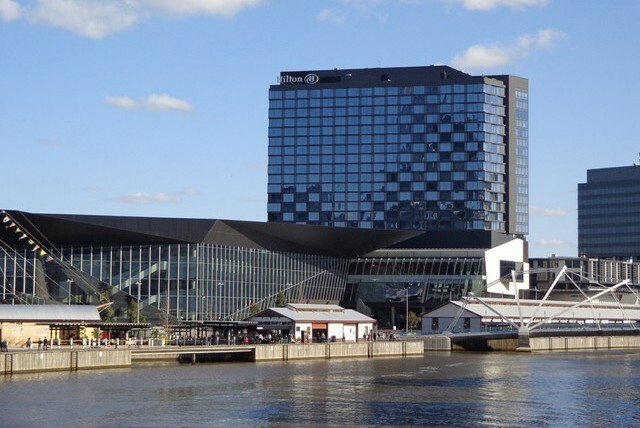 Situated on the southern bank of the Yarra River, South Wharf also boasts of dining and conference facilities. 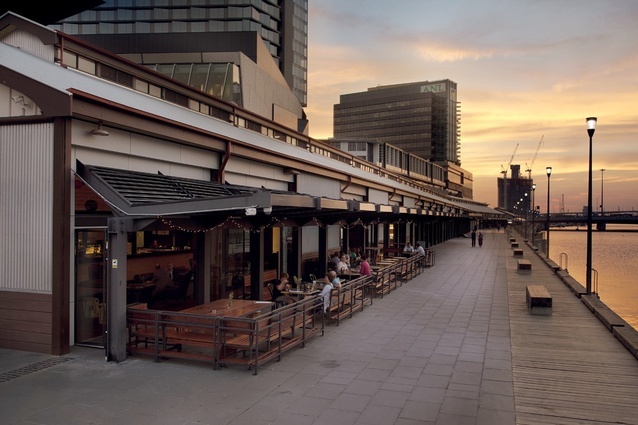 Its cafes and restaurants at the the South Wharf Promenade provide amazing waterside views in Melbourne. The area is known for its restored heritage cargo sheds. The suburb can be reached by public transport. By tram, South Wharf is serviced by tram route 70 which stops at the end of Flinders Street. On the other hand, tram routes 96, 109 and 112 stop across the entrance of the Melbourne Convention and Exhibition Centre on Clarendon Street. The Southern Cross train station is also walking distance from South Wharf. Another alternative is the Melbourne Water Taxi. These water taxis are available day and night all week and can pick up or drop off passengers at the Melbourne Convention and Exhibition Centre landing. The Hilton Hotel landing is now being worked out.